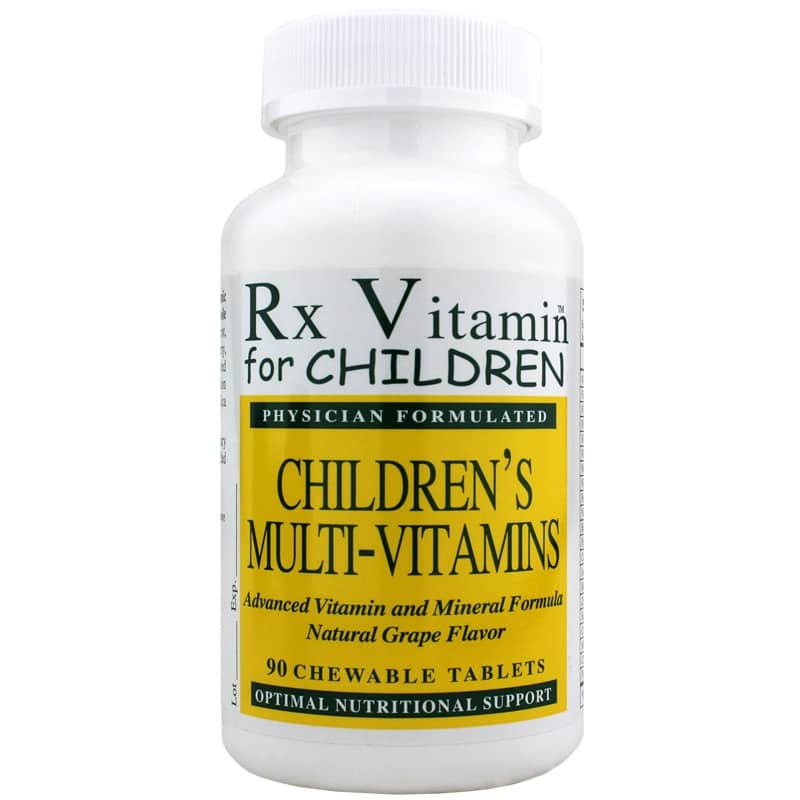 Children’s Multi-Vitamins from Rx Vitamins is a great-tasting way for kids to get the vitamins and minerals they need. During childhood, our bodies experience an incredible amount of growth, so it’s essential that children get all the nutrients they need. Although many of these vitamins and minerals can be obtained from their diets, a multivitamin can help to fill any nutritional gaps. Multivitamins offer support for overall health, and include nutrients like calcium, vitamin C, and vitamin D to promote optimal health. 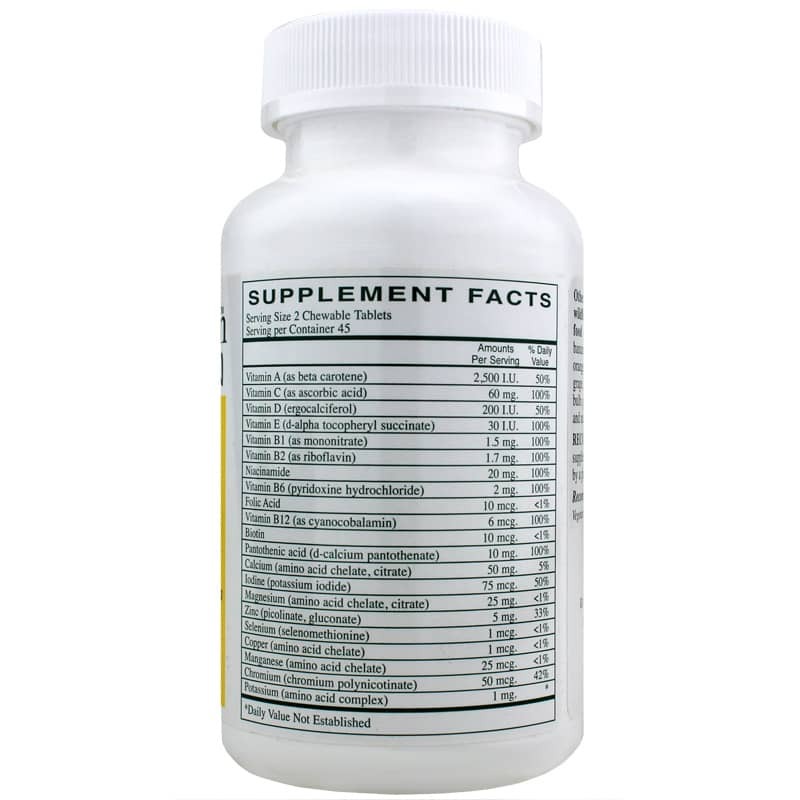 This multivitamin and mineral supplement from Rx Vitamins not only contains twelve vitamins and nine minerals, it also contains whole foods like spirulina, carrot, pineapple, garlic and broccoli. These extracts not only support the immune system, they also offer support for vision health, bone health, and more. The chewable tablets have a great tasting grape flavor, and are recommended for children ages four and up. The vegetarian and hypoallergenic formula is designed for every child, even those with food sensitivities. If you’re looking for a supplement to fill nutritional gaps in your child’s diet and to support his or her overall health, try Children’s Multi-Vitamins from Rx Vitamins. 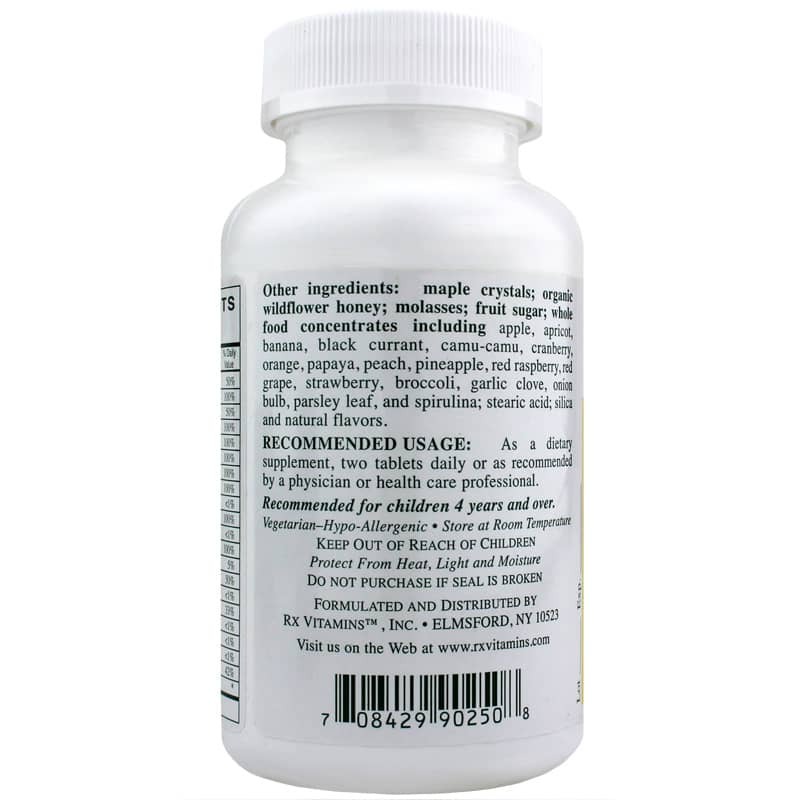 Other Ingredients: maple crystals, organic wildflower honey, molasses, fruit sugar, whole food concentrates including apple, apricot, banana, black currant, camu-camu, cranberry, orange, papaya, peach, pineapple, red raspberry, red grape, strawberry, broccoli, garlic clove, onion bulb, parsley leaf, and spirulina; stearic acid, silica and natural flavors. Children age 4 and older: As a dietary supplement, take 2 tablets daily or as directed by your physician or healthcare professional.